Navarra export catalogue - Prefabricados y Montajes, S.L. Partitions in sandwich of two steel galvanised sheet with a come of rock wool. 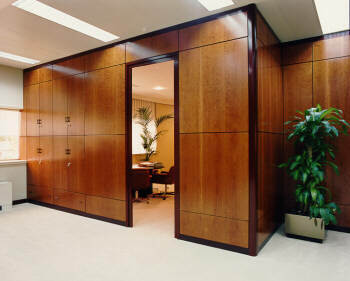 The Premosa Partition wall are the byword in space distribution. 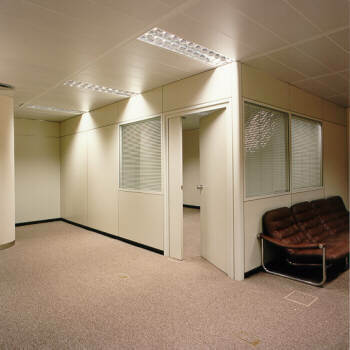 Excellent versatility and mobility, easy asembly and multiple finishes make it the ideal partition wall for distributing and closing off all Types of office spaces.